The Multiplo table series was designed by Antonio Citterio for Kartell and plays with various shapes, materials and applications of tables. You can choose between round, oval and slightly angular forms for a dining table, bistro table and coffee table. 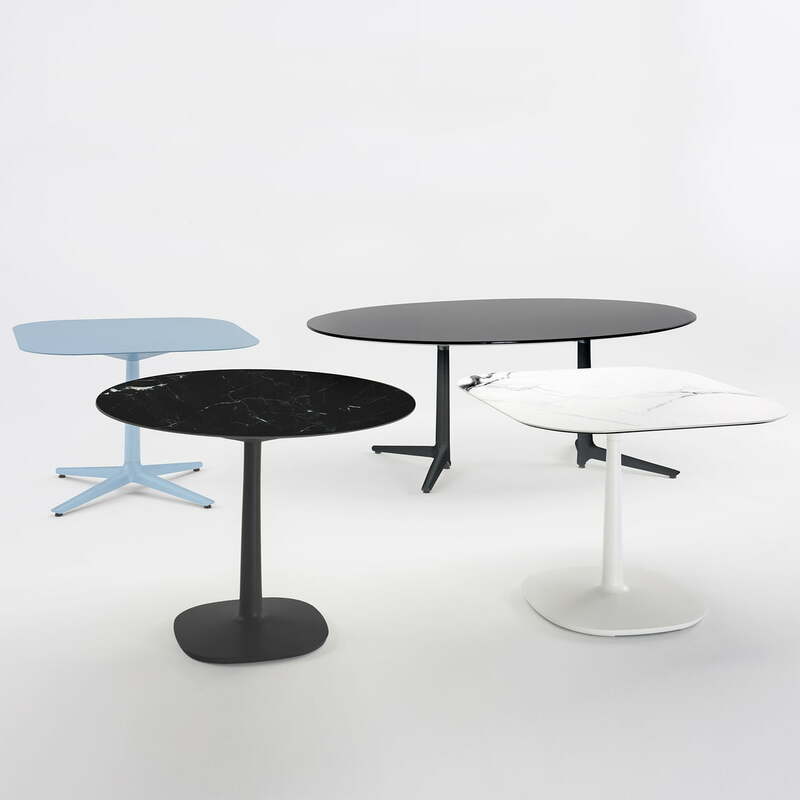 The table tops are made of earthenware in opaque colours or marbling or are available in glass. The table’s base is as variable as its form and the table top’s material. Kartell offers both, the small bistro table as well as the large dining table with rounded square base or classic cross base; always in colour-coordinated paint. In addition, all tables except for the oval table are also weatherproof and can be used outdoors on the terrace or balcony. The table tops of the Multiplo table series by Antonio Citterio for Kartell are made from earthenware or glass while the legs are made of lacquered extruded aluminium. 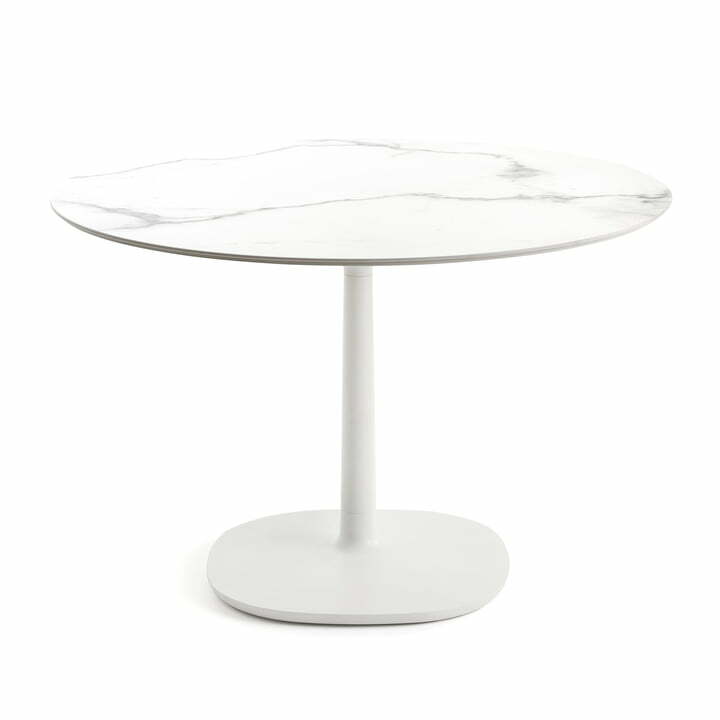 Individual image of the round Multiplo Bistro table with a diameter of Ø 118 cm by Antonio Citterio for Kartell made of earthenware in marble style in white. The Multiplo table series was designed by Antonio Citterio for Kartell and plays with various shapes, materials and applications of tables. Material, colour, shape, size and number of table legs are flexible selectable.